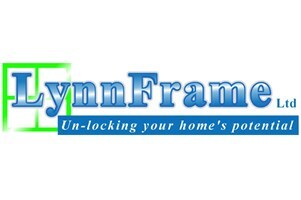 LynnFrame Ltd (Conservatory Solid Roofs) - Roofer based in Wiggenhall St. Mary Magdalen, Norfolk. We are an established name in West Norfolk, installing double glazed windows, doors, fascias and conservatories for over 30 years. In addition to traditional products we now specialise in solid roofed conservatories, installing new home spaces and also replacing conventional glass and polycarbonate with more energy efficient modern solutions. As a local, family run business, we pride ourselves in providing high quality work at a competitive price. Our experienced craftsman can help you unlock your homes potential, from straightforward new-for-old replacements to turning your more ambitious visions into a real enhancement to your property. We oversee the project from point of sale through each phase of construction including arranging Building Control where necessary. Furthermore, you have the assurance of an Insurance Backed Guarantee for deposits lodged with us as well as the work performed. We are proud to have become Registered Installers in 2016 for the Leka System, an innovative, hi-tech solution to the problems of insulation encountered with traditional conservatory roofs.